The Hair Color Review by Melanie Nickels | Melanie Nickels is the founder of Raw Hair Organics, Rod'z Grooming For Men, Raw Curls, and the Raw Hair Organic Salon in Naples, Florida. She is an educator specializing in Non-Ammonia Hair Color and Curly Hair. Melanie is an American Board Certified Haircolorist, and an American Board of Certified Haircolorists Examiner. She does not own, nor is compensated by any hair color company. She does NOT sell hair color. All reviews are 100% unbiased. ~ Melanie Nickels is the founder of Raw Hair Organics, Rod'z Grooming For Men, Raw Curls, and the Raw Hair Organic Salon in Naples, Florida. She is an educator specializing in Non-Ammonia Hair Color and Curly Hair. Melanie is an American Board Certified Haircolorist, and an American Board of Certified Haircolorists Examiner. She does not own, nor is compensated by any hair color company. She does NOT sell hair color. All reviews are 100% unbiased. So the latest buzz circulating is the termination of the U.S. distribution of Organic Color Systems. I personally found out through people talking online and contacting me to see what my thoughts about all this were….Not by the company calling me as I guess they are doing. So bottom line of what I know is that International Hair & Beauty Systems will no longer be the U.S. distributor of Organic Color Systems. DON’T PANIC!! People have been contacting me totally freaking out about what to do. Well, first of all, if you are that concerned, go ahead and place a big order while they still have a stock of inventory. Secondly, you can always continue ordering direct from Herb UK if you need to. I believe Herb UK must certainly have another U.S. distributor in mind. It would be CRAZY to take the chance on losing all the business and accounts that have been built up here and it is not likely that everyone is going to be interested in ordering from out of the country. OK, so there are other options as well. Many new non-ammonia , clean color products have been coming onto the market. I have not even been able to keep up with testing and reviewing all of them. (sorry) You can check out the reviews I’ve already done and posted on this blog. As you may not know, it is super time consuming to do these reviews and I am slightly (lol) busy in the salon, working on my Raw Hair Organic products, teaching classes, and all the other things I do! However, I am actually a little excited about finding another brand to use in the salon. International Hair & Beauty Brands told me they are planning on bringing in a couple different lines that will be really great and an easy transition. They would not disclose to me the brands, but hopefully we will find out soon. I have been using some of the Matrix Color Insider and have been happy with that and am looking into O & M as I have heard good things about it. More and More people are using and have been happy with Davines, but I personally did not love that line. I’ve also just recently heard that Kevin Murphy has come out with a color so that is one to check in to as well. I’ll keep you posted if I find out anything more. I have had my eye on O&M (Original Mineral) since February of this year. I’ve had many requests to review this color line and heard some great things about it. So finally, with the fall-out with Organic Color Systems and Organic Salon Systems, I had my mind made up it was time to make the switch. I was actually excited about working with a new hair color line. I ordered my tester kit and got started trying the O&M color on a few clients and myself. That excitement quickly diminished as my first couple test clients and myself had scalp irritation from the color. Not severe reactions like blisters or anything, but a noticeable irritation that I was anxious to get rinsed asap. There was no lingering irritation like I’ve had in the past from some color like a head ache….once it was shampooed it was fine. Good news was it had good grey coverage and did not have to process under a dryer or heat source, so that was a plus. Thank you for visiting The Hair Color Review Website! I’ve been a licensed stylist for 17 years. I am the founder of Raw Hair Organic Salon in Naples, Florida. It was the first organic/non toxic salon in all of South Florida. I still work about 50-60+ hours a week behind-the-chair there. I am the founder / creator of Raw Hair Organics and Rod’z Grooming For Men, both natural & organic salon quality products that are non-toxic, yet work just like traditional chemical based product lines. This past June, I launched a new, groundbreaking professional line for textured hair called Raw Curls, a high quality natural / organic line made specifically for “Curlies”. For more info on both lines, visit the website at www.rawhairorganics.com . I am a working colorist, with well over 10,000 “non-ammonia” hair color applications to date. However, I DO NOT SELL HAIR COLOR. I am an American Board of Certified Master Haircolorist, and an exam evaluator for the organization, however I do NOT do product reviews for ABCH. I only do them for my own website, and the content & opinions are mine and mine only. They do not reflect the opinions of the ABCH itself. In addition to graduating from cosmotology school, I also have college degrees in Business Management and Accounting. I am internationally trained, was part of Inter Coiffure, a Broadway stylist on the hit show “42nd Street”, and certified by many companies way too numerous to mention here, but the likes of Deva, Quidad, Curlisto, and OCS. I am the Editor-in-Chief of another review website, Organic Hair Product Review.com which is at www.organichairproductreview.com . Later this spring, it will be merged with this review site. I teach nation-wide, including at shows like Premiere Orlando in 2013 & 2014, ISSE Long Beach 2014, and The ABCH Energizing Summit in 2011 & 2012. I taught a 3 hour hands-on curly hair cutting workshop at Premiere Orlando in 2014, which has prompted me to teach more and more 2-day hands-on curly workshops across the country, with one in Naples in September and one in Minneapolis in November (contact me if you are interested in attending). I’m also a contributing member of the elite Curly Hair Artistry group here in the United States. In addition to all of that, as I stated before, I still spend about 50-60 hours a week, every week, behind-the-chair doing hair color in my salon in Naples, Florida. I have worked with many, many hair color lines on the market, both ammonia and non-ammonia based. That is my simplified, basic bio. I would highly encourage you to follow me on Twitter, as I post there quite frequently and post a lot of things that I don’t post here…things that happen in my normal day of hair coloring. My Twitter handle is @RawHairOrganics (Melanie Nickels). The company was founded by Dean Christal. Olaplex, in it’s current form, was created almost by accident. According to Mr. Christal, “I was working with a group of chemists for three years trying to develop a UV activated silicone that would stay in the hair for up to 25 washes”. They couldn’t quite get it to work right. One of the chemists that was working on the project referred Dean to Dr. Craig Hawker, who introduced him to Dr. Eric Pressly. These two Phd’s were working on ways to stop organs in human transplants from being rejected by the body. They had nothing to do with the hair industry whatsoever. Together, over the course of only about 24 hours, they created the first batch of Olaplex. It was just that quick. Not much is known about Olaplex except the basics: It’s a molecule. They claim that you will never break your hair again. They also state that you could do a bleach service and permanent wave the same day. It all sounds great and very interesting! So, I went and ordered the sample pack of Olaplex, and took it with me to the Raw Hair Organic Salon in Naples, Florida, and went to work with it. Of course I was going to test these claims to see just how far I could go without really breaking the hair….knowing that at some point, you WILL still get breakage. I did a foil on previously highlighted, bleached out, porous, damaged hair (pulling the highlights all the way through the ends), and then did a bleach root touch up on my mannequin head. I processed this at room temp for 30 min. The foils were done, the root touch up could have been left on longer, but I rinsed everything out and applied the Bond Perfector as instructed, and left it in for longer than 5 min. The condition of the hair was great……I was very impressed with this since the hair I was starting with was literally a level 5 porosity with already compromised hair. There was no new breakage! So, I later tested it again. Using bleach with 40 vol developer, then mixing in ¼ oz of the Olaplex Bond Multiplier, I applied this to all of the blond roots as if doing a bleach touch up. I processed for 45 min at room temp, and then even put it under the dryer with medium heat for 15 more min. At this point, I did have minimal breakage where I noticed some hair coming out when rinsing. Really, this was unbelievable that there was any hair left on the mannequin-it should have disintegrated or completely broken off!! I once again treated the hair with the Bond Perfector and left it in for an hour. After rinsing it out and brushing the hair, I had some more shedding of hair in my brush, but again………just shocking that there is any hair left on that head at all and it looked pretty darn good!! So there we have it. It IS possible to break the hair using Olaplex, but that was doing way beyond what you would ever do to a clients hair. So this product will really be great for so many uses and for those who are not careful about overlapping in their application process. I wanted to note that it did not say anything about processing under the dryer. I use a color that goes under the dryer on medium heat for 15 min. And, I also do my high lighting over the color (all at the same time) therefore, that all gets put under the dryer for 15 min. So, I tested this process and I did not increase my developer when doing it this way and everything came out as it normally would…didn’t take any extra time for developing either. I also tested the Olaplex when doing color. Per manufacturers instructions, I added 1/8 oz (or less depending on how much color I mixed) of Bond Multiplier to my base color used for root touch ups to cover gray, lo-lights, and a high-lift blond. It didn’t affect any of the processing (which I was a little concerned about with the non-ammonia hair colors), except for the high-lift blond, which took longer to process. Everything came out great, hair was conditioned and shiny. Clients liked the cooling feeling on their scalp with the Bond Perfector. Looking at the MSDS sheets, there is one main ingredient and water. I honestly am not familiar with the ingredient listed, but it is said that it is non-toxic, free of silicone or oils, and it links broken bonds in the hair during and after chemical services making them stronger than they were before. The Bond Perfector is basically a conditioner. It has a Bis-(Maleimidoethoxy) Ethane which is a prepolymer ingredient, along with a bunch of other conditioning agents, and also Stearamidopropyl Dimethylamine which is a conditioning agent used as a water soluable silicone replacement. The only other thing I would mention about this ingredient list is that it does contain wheat protein and wheat amino acids…in case anyone has allergies or sensitivities to wheat. All in all, I have to conclude that this is a pretty incredible product! Does that mean we as hair stylists can be care-free, pushing the limits of what can be done to the hair, and practically wreckless……I guess so, but I hope not!! Here is a client I used Olaplex on: she had level 4 porosity (previously damaged, over-processed hair) yet she wanted to be more blond. I used a high lift blond on the scalp, then lightener mixed with 20 vol developer and Olaplex for her highlights. Her hair came out great and was in better condition after coloring and highlighting than before….AMAZING! Please take the time to subscribe to my blog and subscribe to my youtube channel RawHairOrganics and be the first to receive updates on new reviews. I have been a stylist for right about 17 years. I am the founder of Raw Hair Organic Salon in Naples, Florida. It was the first organic/non toxic salon in all of South Florida. I still work about 50-60+ hours a week behind-the-chair there. I am the founder / creator of Raw Hair Organics and Rod’z Grooming For Men, both natural & organic salon quality products that are non-toxic, yet work just like traditional chemical based product lines. This coming June, I will be launching Raw Curls, a professional quality natural / organic line made specifically for “Curlies”. For more info on both lines, visit the website at www.rawhairorganics.com . I DO NOT SELL HAIR COLOR. I am not only a ranking member of The American Board of Certified Master Haircolorists, I’m also an exam evaluator and educator for the organization. In addition to graduating from cosmotology school, I also have college degrees in Business Management and Accounting. I am internationally trained, was part of Inter Coiffure, a Broadway stylist on the hit show “42nd Street”, and certified by many companies way too numerous to mention here, but the likes of Deva, Quidad, Curlisto, and OCS. I am the Editor-in-Chief of another review website, Organic Hair Product Review.com which is at www.organichairproductreview.com . Later this spring, it will be merged with this review site. I teach nation-wide, including at shows like Premiere Orlando in 2013, ISSE Long Beach 2014, and The ABCH Energizing Summit in 2011 & 2012. I’m also teaching several classes, including hands-on workshops and a lecture at the ISSE show in Long Beach, California, January 2014, and a curly hair cutting 3 hour workshop at Premiere Orlando in June 2014. I’m also a contributing member of the elite Curly Hair Artistry group here in the United States. In addition to all of that, as I stated before, I still spend about 50-60 hours a week, every week, behind-the-chair doing hair color in my salon in Naples, Florida. I have worked with many, many hair color lines on the market, both ammonia and non-ammonia based. That is my simplified, basic bio. I would highly encourage you to follow me on Twitter, as I post there quite frequently and post a lot of things that I don’t post here…things that happen in my normal day of hair coloring. My Twitter handle is @RawHairOrganics (Melanie Nickels). Scwarzkopf is part of Henkel AG & Company.They are based in Dusseldorf, Germany. The company is about 112 years old, and has many, many facets. They include Dial soap and Purex laundry detergent. For the sake of brevity, we are only going to focus on the Personal Care segment of their business, and more specifically, Schwarzkopf. They sell professionally to the trade, and focus on a “Two-Way” relationship with stylists and themselves as a company. They pride themselves on providing expert education, and exceptional customer technical support. (although they did not return any of my calls/emails/faxes about supporting my classes on non-ammonia hair color using the Essensity line as one of the colors the students got to work with. So the expense of buing the color was paid out of my own pocket. They also did not give out information on the percentages of the ingredients used like MEA etc.) As of January, 2014, Schwarzkopf has entered into an agreement in the U.K. to aggressively market some of their hair products, by means of sponsoring a daily prime time television show similar to “The View”, which we have in the United States. More specifically, Schwarzkopf Essensity is their first try at a product in the permanent “Ammonia-Free” oil-color category, and utilizes phytolipid technology, in an effort to attain “real” color results, with a natural intensity and softness. I commend them for their effort! They use natural ingredients whenever possible, which is a great thing. I did not see the use of any organic ingredients at the time of this writing, which is about September of 2013 (that’s not to say that might not have changed by the time that you are reading this). They’ve made a concentrated effort to use renewable, naturally-derived ingredients instead of synthetic ones whenever possible. Their label claims they are free of ammonia, odor, silicones, paraffin/mineral oil, parabens, formaldehyde derivatives, alcohol, and artificial fragrances. The Essensity color line also uses a replacement for PPD’s as pigment and does not have any wheat in it. 🙂 From what I could find, only one of their related shampoos has sulfates, and I’m not sure why. I could not find an explanation for this. That being said, Schwarzkopf created a hair product line to go along with the color line, called Essensity Care. The first segment is Color & Repair, which is geared toward chemically over-processed and damaged hair. The second segment is Color & Moisture, geared toward dry, coarse hair. There are about 4-5 products in each segment of this line. Another interesting thing is that I found on the company website that in 2013 they did a haircolor test in 84 salons in Germany and 90 salons in Spain, with 1500 different color applications. The key numbers are these: 93% of the stylists were satisfied with Essensity, and 87% would recommend it to a fellow stylist. So, roughly 9 out of 10 stylists liked it in their 2013 test. Not bad (but biased, I’m sure). However, 1 in 10 had scalp irritation. That’s bad…but still not terrible. One thing I always look at when considering a hair product company is their philanthropic endeavors. I like to see companies that are making billions of our hard-earned dollars doing something other than lining their pockets with it. As far as Schwarzkopf (or Henkel), I found that they do support a project called “Shaping Futures”, which helps to introduce disadvantaged youth around the world to the hairdressing profession. They do this with volunteer hairdressers (I assume ones that purchase Schwarzkopf products). In 2013, their North American sales alone topped $17,000,000, and they were very happy with these numbers (according to a report I found on the Financial Times website from January), and I think it’s safe to say they are making money in the U.S. That was the only philanthropic endeavor that I could find related to any of Henkel and / or Schwarzkopf organizations. Now, let’s talk about my use of the actual Swarzkopf Essensity hair color. -Colors more opaque, leaving a band. Decent color selection , level numbering system similar, but tones different…confusing. I like to know is it, neutral, gold, copper, violet etc. more straight forward with the underlying tones in order to formulate. Lightener have to mix powder with cream and says not to use more than 18 vol. Got good lift with 18 vol, but it swells and gets super puffy!! Overall, I think this is a good option for a non-ammonia, PPD-free hair color line. It has very clean ingredients including no wheat, gives good gray coverage, has great high lift blonds and a lightening system, & processes at room temperature. The thick consistency is easy to work with, and good for those that are used to color lines such as Framesi that are thick with a heavy dye load. As you will see in my video, the high lift blonds ( or color with 38 vol developer for that matter) creep up the hair and off of the root making it necessary to go back after applying and brush the color back down unto the scalp. That is kind of strange, but I can deal with it……just good to know so you don’t apply and walk away. Color selection is minimal, but sufficient to work with. Results are just a little flat or not as shiney as some other lines. I have not had anyone have any adverse reactions to this color so that is a positive. I give this color line a rating of 4 on my scale of 1-5. Thank you for joining me once again and taking the time to read my Schwarzkopf Essensity Color Review. I hope you find this information helpful. Thank you for visiting The Organic Hair Color Review Website! I have been a stylist for about 17 years. I am the founder of Raw Hair Organic Salon in Naples, Florida. It was the first organic/non toxic salon in all of South Florida at the time. I am the founder / creator of Raw Hair Organics and Rod’z Organic Grooming For Men, both natural & organic salon quality products that are non-toxic, yet work just like traditional chemical based product lines. For more info, visit the website at http://www.rawhairorganics.com . I am not only a ranking member of The American Board of Certified master Haircolorists, I’m also an exam evaluator and educator for the organization as well, and have been for a number of years. I am one of only 19 examiners nation-wide for the ABCH organization, and the only educator that teaches about non-toxic and ammonia-free hair coloring. In addition to graduating from cosmotology school, I also have college degrees in Business Management and Accounting. I am internationally trained, was part of Inter Coiffure, a Broadway stylist on the hit show “42nd Street”, and certified by many companies way too numerous to mention here, but the likes of Deva, Curlisto, and OCS. I teach nation-wide, including at shows like Premiere Orlando in 2013, and The ABCH Energizing Summit in 2011 & 2012. I’m also teaching several classes, including hands-on workshops, at the upcoming ISSE show in Long Beach, California, this coming January 2014. In addition to all of that, I still spend about 50-60 hours a week, every week, behind-the-chair doing hair color in my salon in Naples, Florida. I have worked with many, many hair color lines on the market, both ammonia and non-ammonia based. That is my simplified, basic bio. I would highly encourage you to follow me on Twitter, as I post there quite frequently and post a lot of things that I don’t post here…things that happen in my normal day of hair coloring. My Twitter handle is @RawHairOrganics (Melanie Nickels). I DO NOT SELL HAIR COLOR. As a subsidiary of cosmetics giant L’Oreal and part of that company’s L’Oreal USA group, Matrix Essentials Inc. is a leading professional hair care, hair color, and hair texturizing products company that sells its products only through salons. Top hair care and styling products include Biolage, a hair rejuvenator; Curl.life, which helps to control curly hair; the Trix styling line; Amplify, a volumizing system; Color.smart shampoos, conditioners, and other products that help maintain salon-applied color; Sleek.look products used to help control curls and “frizz”; and Vavoom, a line of shampoo and conditioners, styling sprays, foams, and gels. Hair color and texture products include Colorgraphics, a highlighting system; Color Sync, a demi-permanent dye; Logics, a pure tone coloring system based on matching the DNA of a customer’s hair color; Opti.smooth, a product to facilitate hair straightening; Prizms.PLUS, a semipermanent coloring line; the SoColor line of hair dyes; and V-light, a hair lightener. Although Matrix maintains its headquarters in Solon, Ohio, near Cleveland, its sales, marketing, and education departments, as well as elements of finance and human resources, work out of L’Oreal’s New York headquarters. Also in New York, Matrix operates the Matrix Global Academy for training stylists in the use of the company’s products. EDIT: It is rumored that the Solon, Ohio headquarters / manufacturing facility will be closed sometime is 2013, eliminating several hundred jobs in the process. Depending on who you talk to (management or the city officials), the reasons for the plant closure vary. L’Oreal says the city would not work with them on variances needed to expand the plant significantly and add several hundred NEW jobs: The city officials claim that is false. Matrix was founded in Cleveland, Ohio, in 1980 by husband and wife Arnold M. and Sydell L. Miller. Born in Cleveland, Arnold Miller became involved in hairdressing only after considering different careers while attending both Western Reserve and Ohio Northern universities. Finally he took classes at the Cleveland Academy of Cosmetology, graduating in 1952, and found his calling. Three years later he opened his first salon in South Euclid, east of Cleveland, Ohio. Joined by his wife Sydell, he opened more shops in the city’s suburbs over the next 15 years. She had been attending Miami University in Ohio, studying to become a home economics teacher, when she met Arnold and dropped out of school to marry him and become a hairdresser as well. As owners, the couple knew firsthand the needs of salons, and by the 1970’s they began to pursue their vision of starting a company that could provide salons with the hair care and cosmetics products they needed as well as training them to use the products, along with marketing help to sell them to their customers. The Millers’ first venture, Aortal Inc., was launched in 1971 to manufacture and market artificial eyelashes to salons as well as retailers, primarily drugstores. Later the company developed and marketed a hair color product as well. To realize their dream of being a full-service provider to salons, the Millers established Matrix. It quickly eclipsed the importance of Aortal, which began to have problems with retail sales that were adversely impacted by consolidation among drugstore chains in the United States. In 1984 they sold Aortal for $3 million and focused all of their energies on Matrix and the professional hair care market. Selling exclusively to salon customers was a relatively recent development on the market. In the early 1970s Redden Laboratories had exploited salon sales to quickly grow its business, taking advantage of a realization that salons were repackaging its products to sell to their customers. Rather than stop the practice, Redden encouraged it and helped stylists to do a better job at selling the products. Having a customer in a chair for an extended period was an ideal selling situation, and retailing products solely through salons lent an air of exclusivity that resulted in a higher price. It was this approach to marketing that Matrix would also pursue to good effect. Moreover, the Millers, as former salon owners, were comfortable in this channel, and continued it. Early on, Matrix sold just one shampoo and a permanent wave product to a limited number of salons. Manufacturing was done by a private-label manufacturer. Because this supplier was unable to meet Matrix’s needs on a timely basis, the Millers began to develop their own manufacturing capabilities, eventually bringing as many functions as possible in-house, including laboratory testing, quality control, and research and development. The only major element outside the company’s control were the manufacturing of bottles & tubes, which was done by outside blow molding companies, and is a practice that is not usually cost-effective for a hair product manufacturing company to do on their own. Salon perms and hair coloring products were added, and in 1981 Matrix began making professional hair care products available to consumers, including shampoos, conditioners, and styling products. The Millers also established their own roles in the business. Arnold was in charge of finance, sales, and research and development. By far the more flamboyant of the two, he was the face of the company, but he was also a little undisciplined and often hard to deal with. His wife, when she was not smoothing ruffled feathers, focused on manufacturing, marketing, and purchasing. “Running this company was something that I did,” she told the Cleveland Plain Dealer in 1994. “Arnie was on the outside, the personality that everybody knew. But I was the one who made sure we could ship everything he sold.” Both of them, however, became tireless promoters of Matrix products, traveling to meet with salon owners, distributors, and stylists at countless trade shows, sometimes together, often apart. Their persistence paid off. According to Crain’s Cleveland Business, Matrix enjoyed sales increases of at least 50 percent in five of its first eight years. Despite the Millers’ salesmanship, the key to the company’s success lay with the products themselves. In a 1997 profile DCI reported, “Matrix rapidly gained the trust of thousands of hairdressers who could count on the consistency of its perms, the performance of its cleaners and conditioners and the reliability of its styling aids.” Another element in the company’s success was a product development strategy that included what the company called its “hairdresser test.” According to DCI, “That means a product must enhance a hairdresser’s income; an educational program must improve his/her skills; an advertisement must drive clients into his/her salon.” A major part of the education effort and customer support was the Matrix Institute of Professional Development, established in 1985 to educate salon owners and stylists about the fundamentals of product usage as well as marketing, advertising, and sales. In 1991 Matrix added salon facial and skin treatment products with the 21-item Matrix Sincere line, which included cleansers, toners, moisturizers, and exfoliate/masques, and special care products such as eye makeup remover. The following year Matrix added cosmetics–blushers, councillors, powders, and foundations–which, according to the company, was the first upscale salon cosmetics line. Although Matrix was generating annual sales of nearly $170 million and beginning a major growth spurt, the Millers had a new burden to bear. Arnold was diagnosed with cancer. He fought it for nearly a year, but in December 1992 he died at the age of 60 at Massachusetts General Hospital in Boston where he was receiving chemotherapy treatments, ultimately succumbing to pneumonia and other complications. After all that hard work, dedication, and incredible vision, Arnold was dead. Long relegated to the background where she played a key role in Matrix’s success, Sydell Miller took charge of the company, overcoming her fear of public speaking to fill the void left by her husband as she now conducted press interviews, made trade show appearances, and hosted countless meetings with suppliers, distributors, and salon owners. Under her leadership Matrix opened a new distribution center and continued to expand its product lines, and in 1993 sales hit the $200 million level and reached $250 million a year later. A major contributor to the company’s growth was its sponsorship of women’s tennis. In 1992 Matrix signed a five-year endorsement deal with former champion Chris Evert. Arnold Miller had always assumed that at some point in its history Matrix would need to team up with a larger company, hopefully a pharmaceutical firm, in order to gain access to the kind of technology that would be needed to drive further product development. In the month before his death, in fact, he began talking to Bristol-Myers Squibb Co. about such a relationship. While there was some speculation in the press that his wife might turn over the reins to a second generation–two daughters and a son-in-law were executives in the company–it was not especially surprising that in August 1994 Sydell agreed to sell Matrix to Bristol-Myers, with a price of 7.4 million shares of stock worth about $400 million. Sydell Miller remained with the company she cofounded, serving as chairman until her retirement in 1996. Bristol-Myers’ performance with Matrix was spotty at best. It hired some seasoned executives, but they knew the retail business, yet were not familiar with the peculiarities of the salon channel. Nevertheless, sales increased to more than $340 million by the end of the decade, making Matrix the largest professional hair care firm in total sales. As Arnold Miller anticipated, innovation was a key element in the company’s ongoing success, and Matrix was able to draw on Bristol-Myers’ research capabilities to develop the kind of products demanded by hairdressers and their clients. Bristol-Myers also invested in upgrading Matrix’s facilities, agreeing to a $53.8 million expansion in 1999, and helped to expand Matrix internationally, spreading the brand throughout Europe and Asia, albeit with limited success. Popularity brought new challenges, however. Because a major part of the company’s success was limiting sales to just salons, it had to become increasingly diligent about combating “diverters,” people who purchased products from hairdressers and others and then distributed them to nonchain drugstores, grocery stores, beauty supply stores, swap meets, and the like. With Matrix products being shipped around the world, the opportunities for diverters significantly increased, prompting Matrix to take a more aggressive approach to protecting its position. A former Drug Enforcement Agency special agent was hired as the “shampoo cop” and the asset protection budget doubled, as Matrix kept closer tabs on salons to make sure hairdressers did not sell Matrix products to diverters. Not only could salons lose their right to sell Matrix products, but if a seller used the telephone or the U.S. mail to make or distribute illegal sales, the company would press federal wire fraud and mail fraud charges. It is unclear if these steps actually made a difference or not. Because maintaining product exclusivity was a key component of the Matrix business model, it was understandable that the company also elected not to sell its products online when it launched its first web site in 1999, maintaining that interested buyers should go to their hairdressers, who could recommend the right products for their particular needs. Instead, the site was purely informational in nature, and it remains that way today. Although Matrix enjoyed faster growth than its rivals, in early 2000 Bristol-Myers announced that it was putting Matrix up for sale to exit the salon business and focus on its global Chloral Professional retail and professional beauty care unit. A buyer was found in L’Oreal’s Cosmair Professional subsidiary four months later. Cosmair was already deeply entrenched in the salon market, owning Redken and L’Oreal Professional, which had both carved out their own niches. According to SalonNews, Redken had a reputation “as a fashion-forward haircolor and styling brand, while L’Oreal Professional is well known for its upscale haircolor and its salon technologies. Matrix, on the other hand, is often noted for its moderately priced wet-line products.” Moreover, Matrix was “known for its breadth of distribution; it is the most widely distributed salon line in the U.S.” I was not able to find out how much L’Oreal paid for Matrix, but that is hardly uncommon with L’Oreal business deals. Under L’Oreal’s ownership, Matrix continued to operate as a stand-alone business. The company was allowed to maintain its longtime home in Solon, Ohio, although about 70 of the company’s employees involved in sales, marketing, education, and human resources were transferred to L’Oreal’s New York headquarters. As a reflection of L’Oreal’s commitment to Solon, in 2001 the company launched a $60 million expansion program, updating the plan initiated by Bristol-Myers before the sale. The new parent also lost little time in installing a new management team which began to invigorate a brand that many in the industry regarded as a sleeping giant. The company’s education efforts and research and development programs were expanded, and a number of new products were introduced. Matrix enjoyed strong growth in the early 2000s, fortifying its leadership position in the three key salon categories: color, hair care, and textures. To maintain that momentum, Matrix opened its first training academy, the Matrix Global Academy, which opened its doors in the fall of 2004 in Manhattan’s Greenwich Village neighborhood. Matrix also tweaked its advertising strategy, focusing on fewer magazines and turning more to entertainment magazines like Us Weekly. In the meantime, Matrix continued to unveil new products on a regular basis, including a new Vavoom volumizing collection in 2005, Matrix for Men shampoos and styling products in 2006, and Prizms.Plus in 2007. Ok, enough history, let’s get into the new ammonia-free hair color line by Matrix. I’ll start with some basic technical information for the Matrix Colorinsider, and then get into more details of my findings during use at my Raw Hair Organic Salon in Naples, Florida. Mixed equal parts 1:1 (all including 10 series). Develop at room temp 35 min (all including 10 series). Easy to mix (1/2 oz measurements on tube). Alpha-Numeric system for colors (ex. 9 GC = level 9, primary tone=gold, secondary tone=copper. The Matrix Colorinsider line has a large selection of colors….65 including the clear. The line contains a double copper series(CC+) which can be mixed with other colors, and a double red series (RR+) which can only be used alone or with clear. It has a Great creamy consistency like that of mayonnaise. Application is as with most all of the ammonia free hair colors recommended to used bowl and brush and very precise application with thin sections. The Hair feels good, looks shiny after the color service. The color line has No smell at all. It Seems true to tone. Because of the efficiency of the oil softening the hair (and the oil delivery system), they only use 30 vol developer for high lift blonds instead of 40 vol. The manufacturer says using 10.1 (Ash) with 30 vol on a natural level 6 you can achieve a double process blond result. I am going to test this out and see what happens. I was very leery of trying this on a paying client. With all of my experience working with ammonia-free hair color (close to 7,000 non-ammonia color applications personally myself, if I had to estimate, as of this writing), even using double 40 volume, it has been a bit challenging to achieve the same amount of lift as traditional color lines… and here Matrix Colorinsider only offers and says to use equal parts 30 volume. So, I went and tested it on a mannequin first. I followed the instructions using 10N in one section, 10V in another section, and 10A in a third section. I decided to process at room temperature for 45 minutes because I could clearly see 35 minutes was not going to be enough time since it is mannequin hair (thus there is no heat radiating from the head). Well, that barely lifted 2 levels. So, I tried a different mannequin and decided to process for as long as it took. After 1½ hours, it was hardly lifting at all, so I decided to put the mannequin under medium heat (which Matrix does not recommend), but again, it is a mannequin so things work a little differently. She was under heat for 1 hour and then continued to process at room temp again for another 2 hours for a total processing time of 4½ hours. I still barely got 2 levels of lift. The starting level of the hair was 6N and I would say we ended up somewhere around a 7.5 gold. When I held up the level 8 gold swatches from 2 different color lines, my mannequins hair did not appear to be a close match to either one. All of the roots looked the same, too-it didn’t make a difference between 10N, 10V, or 10A. Just for fun, I thought I would call the Matrix Colorinsider “hotline” to see what they had to say. Since I’ve never called one before in my life, it was quite an interesting experience for me. First of all, it took 20 minutes for someone to answer my call. I know this because I had my timer going for the processing of the mannequin. When someone did finally answer, I couldn’t help but comment to them that “Thank God I didn’t really have an emergency because it took so long”. Anyway, I explained I was leery of being able to get enough lift with the 10 series colors and only 30 volume developer. I understand that the oil delivery system softens the hair (since I have been working with one every day for 7 years as of this writing), however, the peroxide is what mostly determines the lift. Thus, not having the boost of ammonia in the color AND only using 30 volume does not seem to add up to getting enough lift. The woman I spoke with assured me it is possible that I should not be trying to do this on a mannequin, but I should be trying it on an actual person. I told her that I am not comfortable experimenting on a paying client, nor do I have the time to fix it if things don’t go well. Besides, I work on mannequin hair a lot for testing and also for the educational classes I teach, and have not had a problem with any other color lines (other than I do usually leave it on a little bit longer or put it under the heat a little which I explained earlier). She stood her ground and said it really works and that I just have to try it on a human head. I said I would be willing to do one little slice in the back next time I have a high-lift blond coming in to the Raw Hair Organic Salon, but not a whole head. As of the date of this writing, I have not had a chance to do this yet, but will post the update edit HERE once I do. 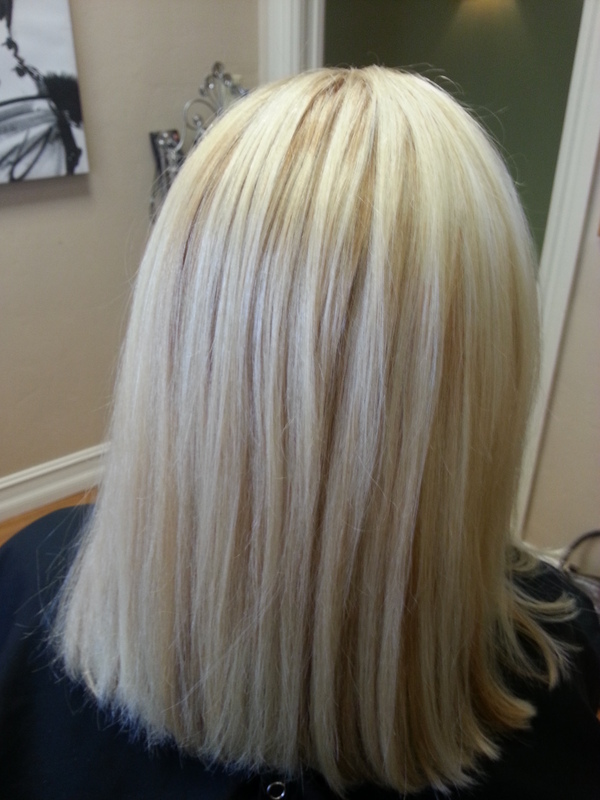 ***NEW NOTE 9/15/13**** I got to go ahead and try the level 10 blond on an actual client yesterday. I applied 1/2 10N, 1/2 10V with an equal amount of 30 volume developer to about a 2 inch section beneath the crown area on my clients head while using her normal formulation for a high lift blond on the rest of the head. I did actually process for 45 minutes because that is how long she normally takes with her usual formulation. To my suprise, the Matrix Color Insider section did indeed come up light enough! It was just as light blond as the rest of the color and looked great!! So, I stand corrected on that one and am excited to let you know that I was in fact able to lift my clients hair from about a level 6 to about a 10 with the level 10 color and 30 volume developer. Next, as I usually do, I did my own hair coloring with the Matrix Colorinsider ammonia-free haircolor to test it out. I decided to give myself a bit of a change now that we are going into the fall season. I used ½ 6NW, ¼ 7WM, ¼ 6GV with equal parts 20 volume developer. This formula was applied to my re-growth and then balayaged through some of my hair from the re-growth to the ends. I processed at room temperature for 35 minutes, and then wet it with some water and washed through the entire head for a couple minutes. I did not have any irritation from the Matrix Colorinsider hair color line. Many times, I will get a headache after coloring my hair. I did not experience that this time using Matrix Colorinsider. It was nice to not have to process under heat. The color came out beautiful and shiny, and my gray covered well. I was very happy with the process and the results. The Ingredients used in Matrix Colorinsider are actually really good: (NO AMMONIA) ethanolamine as a ph adjuster, (NO PPD’S) toluene2,5 diamine for pigment, it does have resorcinol (which does have possible irritation and possibly significant health concerns), & m-aminophenol as oxidative dye intermediates to achieve certain colors. Another plus is that there is no wheat! So those of you who are gluten/wheat sensitive need not to worry. A client of mine that is very sensitive to other color lines (even ammonia-free) did not experience itching as she normally does, and her color did not fade in the 6 weeks between color appointments when I used Matrix Colorinsider. See attached video testimony. Well, it seems like L’oreal is getting better and better with each ammonia-free color line that it brings to the market. I am liking this one by Matrix, and give it a very high rating of 4.45 stars out of a possible 5 stars. For more information, feel free to check out my Youtube channel by entering rawhairorganics in the search bar. You can also visit my website http://www.rawhairorganics.com as there is great information there, too. There are many videos posted as reviews of many different organic and non-ammonia lines on the Youtube channel. Thank you for taking the time to read my review of Matrix Colorinsider hair color. I am always open to questions and comments, and I encourage your feedback in the comments section. I am here to help, so don’t be shy! If you have an idea for a color line that you would like me to review, or a comment about something that I can do better, you are more than welcome to submit that as well. Right now, I have about 4 NEW reviews in the works of NEW non-ammonia hair color lines that could be promising! Each review can take me and my team a couple months to test and produce, so we should be good until Christmas. I’ll do my best to get them done in a timely fashion, but if I run behind please know it’s only because I strive to be as thorough and forthright as possible in an effort to bring you reviews that are unmatched anywhere else on the internet or in print form. Until next time, here’s to great hair and great hair colorists! Hello once again and welcome to The Organic Hair Color Review blog! For those of you who have not visited this website before, my name is Melanie Nickels, and I am the editor of the Organic Hair Color Review website ( www.organichaircolorreview.com ). Here is my quick (thus incomplete) bio so you know right from the get-go who I am and why I’m qualified to write a review that warrants your time and attention: I have been a stylist for about 17 years. I was internationally trained, part of Inter Coiffure, a Broadway stylist on the hit show “42nd Street”, and certified by numerous companies such as Deva, Curlisto, OCS. I am also a ranking member of the American Board of Certified Hair Colorists, as well as one of only 19 exam evaluators nation-wide. I am the only organic / non-toxic / ammonia-free educator in the entire ABCH organization, having taught organic / ammonia-free hair color classes at the 2011 and 2012 Energizing Summit in Los Angeles, CA. I hold two college degrees: Accounting and Business. I am the founder / owner of Raw Hair Organic Salon in Naples, Florida. It was the first non-toxic / organic salon in all of Southwest Florida. I still spend about 50-60 hours a week, every week, behind the chair. I am the hands-on founder / creator of Raw Hair Organics and Rod’z Organic Grooming For Men, both being complete 100% natural / organic salon quality lines of hair products. If you go to my website, you can read more about those and see pictures of me in the lab getting my hands dirty and creating products (lol). Lots of good information and some reviews there as well: www.rawhairorganics.com . As a color specialists, I have worked with many major color lines on the market, ammonia and non-ammonia. I am the editor of Organic Hair Product Review website as well( www.organichairproductreview.com ). Today, my review is of Organic Color Systems, or Organic Colour Systems, or OCS (however you may know them). In my effort to achieve full-disclosure, I purchase ALL items that I review with my own money. I do not own a color line and am not paid by any color company, work for any color company, or get compensated in any way. That goes for this week’s review as well. I do, personally, use Organic Color Systems in my salon, the Raw Hair Organic Salon in Naples, Florida. I was one of the first people to take on Organic Color Systems when they opened their distribution facility in Clearwater, Florida many years ago, and I personally know the former owner of that facility, Mr. Hilton Bell. Under the new & current ownership, I did complete training to become and educator for OCS about 2 years ago, however I have not done any work for them and thus I have not been compensated by them. Per my request, I asked to not be listed on their website as an educator so I can remain independent. I have a good relationship with OCS, current and former employess, educators, and it’s owner, Mr. Scott Mitchell. HOWEVER, my professional integrity is very important to me, thus my statement of full-disclosure. I will never, ever show any bias in a review that I write, regardless of who owns or works for that said company. I will never put myself in a position of damaging my professional integrity that I’ve spent an entire career building. Period. If you read any of my reviews, you will clearly see that I am FAIR, ACCURATE, UNBIASED, and HONEST in my evaluations. I sincerely hope that the people who own, run, and work for the color companies that I review would use the information to create better products for all of us, and not take those critiques personally. So far, that has been the case (as it should be). Organic Colour Systems (known as Herb UK Ltd.) was founded in 1990 Lymington, Hampshire. Their goal was to create non ammonia-based haircolors using natural ingredients due to the chemical allergies and sensitivities of one of the hairdressers. To the best of my knowledge, they weren’t the first to do so. Farouk Systems was. Now, Herb UK Ltd. is the largest independently owned brand manufacturer of hair products in the UK. Their operation is state-of-the-art, and they export to no less than 30 different countries. The factory was designed this way to be able to cope with the increased world-wide demand for non-toxic products. It was also designed with the ability to adapt to changes in the market without long delays or down time. It has all of it’s own filling lines, so it can control packaging and filling in-house. The company is in the process of establishing concept salons throughout the world, including the United States. They offer excellent training, and when you need to call for technical help, you can get it (at least in the U.S.). However, a few years back, I called Herb UK Ltd directly with some questions. As a matter of fact, I called them twice and emailed. My contacts were never returned. As of this writing, all of their products are produced in the UK, and none are made in the United States. They don’t test their products on animals (nice), and they don’t use any animal ingredients either. They use Certified Organic Chamomile, Aloe, Comfrey, Orange and Grapefruit. Any “chemical ingredients” that are necessary for hair color are used in reduced percentages. They only use the minimum amount that is needed in order for the product to still be able to function or perform at the professional level that we hairdressers require. The company has made a commitment to implement an environmental policy that is within the framework of Good Manufacturing Practices for the Cosmetics Industry, Section 5 (GMP does audit companies such as Herb UK). It is ammonia-free, cruelty free, and vegan. As a company, Herb UK Ltd strives to make the most natural and gentle products that they can. Herb UK Ltd. does not use ammonia or resorcinol in their products, and they are paraben-free. They use a very small amount of MEA, to replace the ammonia and are VERY open to sharing these percentages unlike some other companies. In my circles, I have found there to be a great discussion about MEA vs Ammonia in hair color. Check out my posting on that topic for more detailed information. Before I briefly explain the issues behind the discussion, I will state that so far as I know, NOT ONE person that has come to me with the argument against MEA has anywhere near the experience that I have using it on clients, and some of the most vocal detractors aren’t even behind the chair any more (for the sake of this discussion), or have NEVER even been behind the chair. With all due respect, being a chemist in a lab creating hair color is totally different than being an experienced colorist with every-day real-world hands-on experience. (I know from working with my own chemists on my Raw Hair Organics line)! The argument that I hear from those people and others in the industry is that MEA doesn’t rinse from the hair and dries it out. That has NOT been my experience! Please research what source that information is coming from….do they own or work for a color line that uses ammonia?? (Usually). Anyway, OCS uses oils to soften the cuticle, then gentle heat along with the MEA to open or swell the cuticle so that the color can penetrate. There is PPD’s or Paraphenylendiamine used for pigment in this color line, but again, a minimal amount of .6% on average. There are 65 intermixable colors including special concentrates, extra brights, and also direct dye intensifiers and no limits. They have different developers available: liquid, cream, and a liquid enzyme developer that is water, hydrogen peroxide, water soluble polysaccharides, and polymers that range from 5 volume to 40 volume. According to the class that I took, this enzyme developer does not activate until you apply heat, and it can process the color in 1/2 the time. (I don’t use it in this way, but find it is good for resistant gray coverage). They do have a NN series as well, which does not contain double pigment, but rather more oil to help soften the hair more. There is also an ammonia-free lightener that uses potassium persulfate that gives up to 7 levels of lift. It can be used on or off the scalp. Speaking of high lift blonds, if there is one area that this color line is a bit weak, it is this. Because there is no ammonia and it does not contain double the MEA for these, you will only get 3 levels of lift. You can add 1/2 scoop to your formula to give extra boost and/or Concentrates for toning, but I personally don’t care to do that. I find you get the same or better gray coverage as any other line I’ve ever worked with. The color is more translucent and natural looking instead of heavy opaque looking. Therefore, you get a softer outgrowth or line of demarkation which allows many clients to go a week longer than they normally did on average for a retouch. I do recommend pre-washing or clarifying clients before coloring. It is good to make sure there is no build-up of wax, silicones, and other chemicals since this is a gentle color and won’t cut through all that, and this will help with resistent gray to give additional coverage as well. I find the colors are true to color chart and fading is minimal and is on tone and not brassy. If you are used to traditional hair color, I would formulate 1 level darker than current formula. For instance, if you normally use 6N, then use 5N instead. Overall, I find this line to be a great option for ammonia-free haircolor that allows you to work with and offer a healthier haircoloring experience for yourself and your clients! Attached are my you tube videos of my own color retouch. Is Soma Complete Colour the solution to all of our coloring challenges as claimed?? Lets find out what my experience testing this color line revealed. If this is your first visit here, let me introduce myself; I’m Melanie Nickels, the editor here of The Organic Hair Color Review website. I am a ranking member of The American Board of Certified Master Haircolorists, and an exam evaulator for the organization. I am the only organic educator as well. I have been a stylist & salon owner for over 17 years. I opened Southwest Florida’s first organic/non-toxic salon, the Raw Hair Organic Salon in Naples, Florida, seven years ago, and it has been featured on many news stations and news outlets since. I work behind-the-chair 5 days a week, and my reviews come from that hands on point-of-view. I am not a scientist or a chemist. I have many certifications in a number of different color lines, both ammonia & non-ammonia. I have taught classes the last two years at The Energizing Summit, which is the premiere event in Los Angeles for The American Board of Certified Haircolorists. This year, I will be teaching three classes at The Premiere Orlando Hair & Beauty Show, one of which is a hands-on overview of at least 4 different ammonia-free and/or organic hair color lines, from an unbiased point of view. If you are a beauty professional, I would highly encourage you to sign up for one of these inexpensive or FREE classes early…they fill up FAST. I hold two college degrees: one in Accounting and one in Business. I do not work for, nor am I compensated by any hair color company. I DO NOT SELL HAIR COLOR. I am certified to train haircolorists by some hair color manufacturers, but at the present time I choose not to. I do not receive free product, discounted product, or any financial compensation from any hair color company whatsoever. When I review a hair color line, I purchase it myself with MY OWN MONEY, at the normal price. I believe that if you ask a company for free product to review, your evaluation is immediately tainted with bias. I do everything I can to eliminate any possible bias in my reviews, and keep them as professional as possible. That being said, I am the founder/creator of my own professional quality hair product line, Raw Hair Organics. I also have a pet line and a men’s line coming out in the near future. These products are sold on our website and several salons & health food stores throughout the world. However, if you read any of my past reviews, that will never cloud my honest, professional judgement of a product. For more information on my background, and my products, visit www.rawhairorganics.com . My goal is to help guide hair color manufactures in the process of making better, safer products for us all…not to bash, discredit, or otherwise discourage their efforts. I believe that comes across loud & clear in my reviews. I appreciate the professionalism shown to me by most companies and their representatives, and I hope to always return that. In short, that’s my very basic (yet incomplete) bio. Now, on to the review. Soma Organics was started in 1995 by two friends: one a chemist, one with a business management background. It was founded in the area around Toronto, Canada. I believe that now they are owned by Wahl Professional, which is a company that manufactures clippers out of Northern Illinois in the U.S.A. Soma has a focus on quality and environmental impact. Their products are 100% biodegradable (per their website), and they formulate all of their own products. I tried to find out more info on what exactly they are doing regarding environmental impact, but I was not able to find anything in particular, other than the products being 100% biodegradable as previously stated. Soma created the Complete Colour Line to “Truly Perform”. It is a deposit-only, no lift permanent color “without fading”, and you can tone highlights without “bumping” or lifting the base and do low lights without fading or filling. Their line has 19 intermixable colors which allow for more stylist creativity and less salon inventory, both major pluses for a stylist or salon owner. Soma should be commended for directing attention to these details. Soma Complete Colour, according to the company, adapts to the specific clients hair porosity, thus no “grabbing too dark”. They claim only one application is needed. The line was formulated by stylists to create translucent, blending, multi-tone, and opaque shades from ONE tube. It was created to mix perfectly with their developer for BOTH bottle AND brush applications. Side note: (To be both translucent and opaque doesn’t seem possible, but maybe I’m wrong). Perhaps they are talking about if you double the color, like 2:1 color to developer. Soma Complete Colour claims “100% gray coverage without fading brassy, even while using 20 volume developer”. They also claim “No Ammonia – No MEA”. These are great claims! First of all, I’m not quite sure how it can be a “Complete Colour Line” when it is a deposit only color. If you are a working stylist / colorist like me, you need a color line that has lifting abilities as well. So I would need to have this color line along with another one in order to satisfy the needs of my entire color clientele, which is quite large. Secondly, the color choices are limited. I personally have no problems mixing and creating color formulas from a small selection of pigments, but many stylists struggle with that. Consider your own skill level before you make a financial investment in this color line. As stated above, this colour line is ammonia free, MEA free, and formaldehyde free. They make the claim of “100% gray coverage”. There are several good, nourishing, soothing, and strengthening botanical extracts like aloe vera, keratin, wheat, silk, sunflower, nettle, and more. Great stuff! I applaud them for that. Being a working, ammonia-free / non-toxic / organic hair colorist, I have had a conflicting opinion with some of the Soma representatives who are professional colleagues of mine that I have great respect for on the topic of MEA. They believe it is bad for the hair, and they have made that very clear to me. Frankly, as a professional colorist that uses haircolor with MEA in it ALL day EVERY day for the last, oh, 7 years or so, I disagree. (You can find out more about the MEA vs Ammonia topic in one of my previous postings titled: MEA vs. Ammonia,with a link on the left hand column). With that in mind, they (Soma) created this color line with no ammonia and no MEA. Great. But Instead, they use AMP or Aminomethyl Propanol. I don’t have a problem with this subtitute ingredient as long as it follows the Cosmetic Ingredients Review Panel regulations of using concentrations of 7% or less and that it should not be used in products containing secondary amines because they could cause harmful carcinogenic nitrosamines to form. Soma uses a combination of PPD’s (p-phenylenediamine), Resorcinol, and TDS (toluene-2,5-diamine sulfate) for pigment. Ok, on to my experience. I prepared to use the Soma Complete Colour on a very good client of mine. I clarified the clients hair prior to application and then followed the manufacturers directions for gray coverage. I mixed equal parts of 6N colour with 20 vol developer. The consistency was nice and easy to work with….like that of greek yougurt. 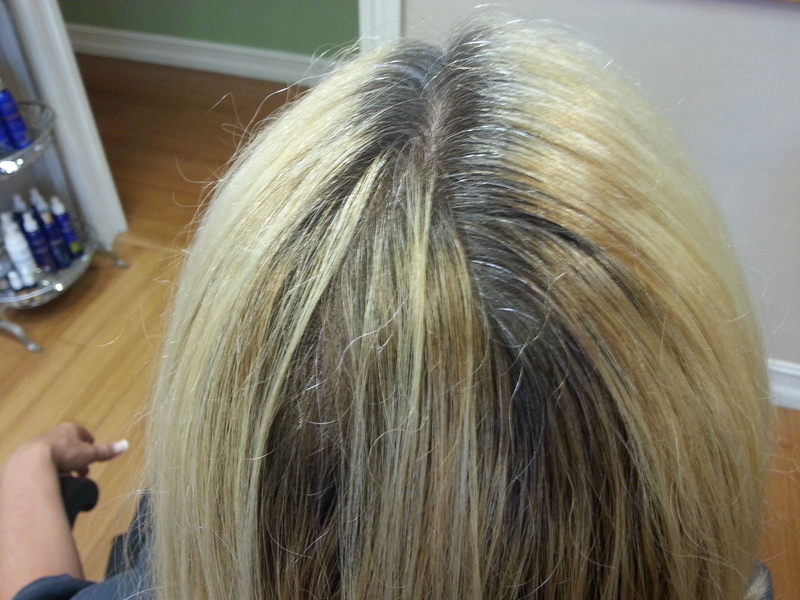 There was no offensive smell or fumes, no irritation noted on scalp other than my client said she felt a slight tingle. The directions said to process for 30 minutes at room temperature, but I left it on for 45 minutes. So far, so good. As for the results? 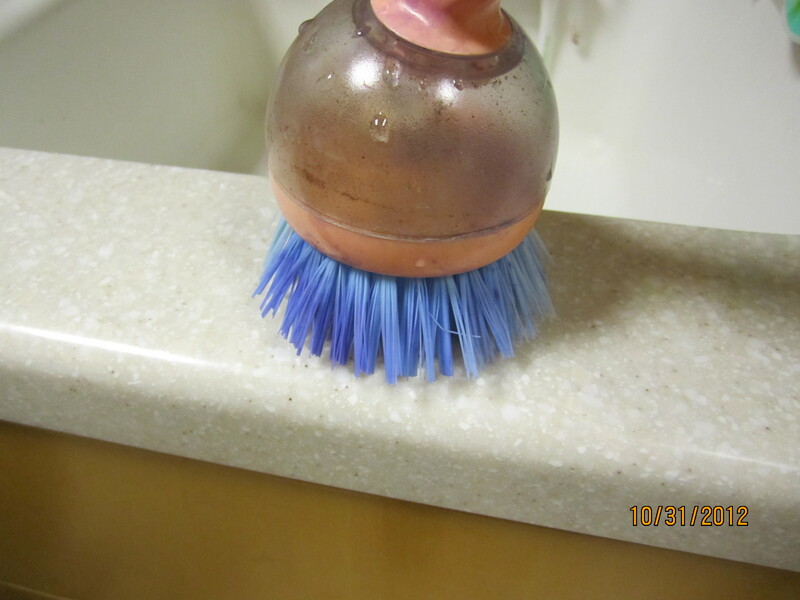 Well, as I was rinsing the color, I could see that there was a problem….it looked lighter than it should. After towel drying and starting to blow dry my clients hair, I could see that it was not just lighter….it did not cover the gray as promised. The company says it has a “translucent coverage”. Now, I have worked with over 12 similar ammonia free color lines, and have lots of experience with translucent coverage, so it’s not like I don’t know what I’m doing or that I don’t know what I’m looking at…this was more like transparent! For the first time ever, I actually had to re-color my clients hair! I had told her I was testing out a new color line before we got started so she thankfully was understanding and not upset, other than having to spend more time at the salon when she was super tired. But as you can imagine, I was not exactly happy! Needless to say, I went back to my usual non-ammonia color line and re-colored her hair. Which, by the way, turned out perfect. Another interesting side note, is that, it seems as though the creators and ambassadors/educators for this company (Soma) / colour line still don’t truly believe in ammonia-free hair color, even though they say they are “so excited” about creating and bringing this non-ammonia colour line to the market. I’m inserting this advertisment and flyer for an upcoming class that I received on 2/11/13. Be sure to read the 5th statement under day ones class!! I’m getting mixed messages, to say the least! Are they for or against non-ammonia hair color? ?…..it’s hard to create and promote a non-ammonia color line when you are teaching classes on ammonia color being better for the hair. Something is wrong here….what a disappointment! All in all, yes, I like the fact that they, Soma Organics, is working to create better hair products for clients and the environment. I like the fact that they are trying different things in the lab. No company that is working hard in the lab to create better products should be bashed. But as for the performance of the product as a whole, it’s back to the drawing board for this one. The effort is commendable, but more work should have been done on the Research & Development side BEFORE the line was launched to the public. “Field” R&D is always a risk and a big no-no, in my opinion. I give the Soma Complete Colour a rating of 1 out of 5. I always welcome your questions and comments, as well as recommendations for future hair color reviews. Next month, I will have TWO new hair color reviews posted, so make sure and SIGN UP for email alerts direct from The Organic Hair Color Review.com. Until next month, here’s to great, healthy hair, and great, healthy hair stylists. Hello again, and THANK YOU very much for visiting my Organic Hair Color Review website. For those of you who don’t know me, I’m Melanie Nickels, a ranking member, exam evaluator, and the only organic educator in the American Board of Certified Hair Colorists organization here in the U.S. I am the founder of the first organic / non-toxic salon in Southwest Florida, Raw Hair Organic Salon in Naples. I am also the creator / founder of Raw Hair Organics, a professional natural / organic hair products line. I hold college degrees in both accounting and business, as well as being a 16+ year professional stylist & salon owner…and that’s just the beginning! For a full bio on me, click back to the home page and you can read a whole lot more about me and my background. I DO NOT SELL HAIR COLOR. First off, Farouk Sami is the richest hairdresser in history (his words, not mine). He is worth about $3 billion dollars (yes, BILLION with a B). It’s truly a rags-to-riches story. He came here from Palestine for college, planning on studying to become a teacher like his father. But a part-time job in a hair salon changed everything. He liked being around people and making them happy. In 1981, he opened his first salon in North Houston, Texas. He had gained quite a following as a colorist, but was allergic to the ammonia. Thus, he developed his own color line, and the next thing he knew he had distributors knocking at his door. It wasn’t long after that he was making in the high millions (dollars, that is). Now, he manufactures CHI salon tools (hair dryers, flat irons, etc…at as much as $300 a pop), as well his hair product lines. He manufactures about a million bottles a day…which he says “is better than printing money.” He has warehouses in Houston, Texas, South Korea, Belgium, and the Middle East. He sells in 92 countries world-wide. I was glad to hear that after about 7 years of manufacturing his CHI salon tools in China, he has started moving all of those operations back to the U.S.A. That alone is a good reason to support his business. Although his is a passionate & active supporter of Palestine, he is an American citizen of 47 years, and a true, red-blooded Texan, right down to his bright red signature boots. He is a flashy old guy, driving a bright red new Lamborghini and not shy in the least to brag a bit about his riches. At 70 years old, he’s not showing any signs of slowing down. Quite the contrary: at this point, he and his team of researchers are trying to create a blow dryer that actually GROWS hair….good luck with that 😉 . Mr. Shami introduced ammonia-free hair color to the industry 25 years ago, although there seems to be many hair color companies out there right now who claim they were the first…even though they may have only been around 2-3 years or so. As far as my research is concerned, his statement is probably accurate. I purchased, with my own money, some of the Chi Ionic Permanent Shine Hair Color for this review, and took it to my Naples, Florida salon, Raw Hair Organic Salon, to try it out for myself. I also went through a training class with a friend and co-worker hosted by one of the Farouk educators. According the company, it’s ammonia-free, formulated without PPD, has no parabens, is anti-fade, provides 100% gray coverage, as well as richer, more vibrant reds & firery coppers…and doesn’t smell. The product contains ethanolamin and resorcinol, but indeed, I did not find ammonia or ammonia derivatives (sic) on the label, nor does it have any wheat for those concerned about that. 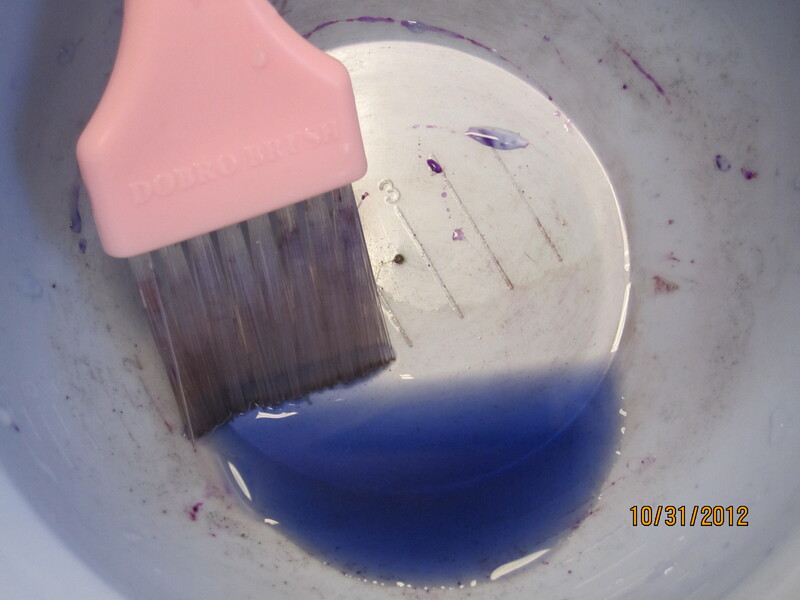 The PPD, which is pigment, is replaced with TDS (Toluene 2,5 Diamine Sulfate). This is considered a “cousin” to PPD and thought to be less of an allergenic. The product uses silk, oil, and aloe as ingredients as well. The color is a 1:1 mixing procedure, which is very simple compared to some other lines. One part Chi Color Generator and one part Chi Ionic Permanent Hair Color is the rate at which you formulate. The color comes in 3 oz tubes (85g for those of you outside of the U.S.), and one 3 ounce tube equals 2 applications. The tubes are marked in 1//2 ounce increments, which again makes for easy measuring. I was told to massage the tube to mix the silk and oils before using. The developers are a cream consistency so when mixed with the color, you get a thicker frosting like working consistency. This is good for bowl & brush application, not for bottles. NOTE: This is a PROFESSIONAL color line, and it is NOT intended for anything other than professional use. I did a little research online and did indeed find sources selling it to retail customers. However, when I read the feedback, I found a 14 year old girl who bought some, and when she opened it up was upset because “there were no instructions” (no kidding). There are a couple different lines within the Chi Color line so that can be a little confusing, but we are referring to the Standard Series right now. There is a good selection of colors: 82 plus 8 pre-mixed additives. I found it to be true that it did not have a smell and it covered gray well, fading was minimal, and the hair was nice and shiny. Processing time is 30 min room temperature for normal or 45 min for resistant. Or, you can use low heat for 15 min, and room temp for 20 min. I processed all of mine at room temp for 30 min. As much as I and my co-worker wanted to totally love this color line, unfortunately, there were a few negative experiences that I have to acknowledge. I used this color on my own hair, like I most often do before using it on any clients. I was one that experienced some irritation. My scalp itched while it was processing. The longer it stayed on, the more it got itchy, so after 30 minutes I couldn’t wait to rinse it off. Once I rinsed it and shampooed, my scalp was fine. All but 2 of my clients (who had mild itching) were fine with no reactions. My co-worker, on the other hand, had several clients that had itching with this color and a couple that had severe allergic reactions with burning. These were clients that have been coloring their hair professionally for many years with ammonia haircolor and had not previously had any issues. The other part of the Chi Color line that I worked with is the Chi Infra Environmental Cream Color. It is an ammonia-free, non-oxidizing system with 19 colors. There is High Lift and No Lift. The Infra High Lift Cream Color provides up to 8 levels of lift and tones in one step. The Infra No Lift Cream Color is deposit only. In the High Lift, there are 3 blondes, 3 reds, and 3 browns. I used the High Lift Blondes. The key points they state for the Chi Infra Environmental High Lift Cream Color is: it’s ammonia free, oil based, lifts and deposits, has the ionic and far infared technology that lightens from the inside out, and it can lift previously colored hair. It comes in a tube and is mixed 1:1 with the chosen color generator. Processing time varies (from up to 10 min under low heat to up to 25 min under low heat) and 5 min cool down, according to how much lift you want. I have also processed at room temp just fine. The consistency is fluffy like cool-whip, and it does leave an oily residue in the bowl after rinsing. I have liked how this product works for highlighting. It is easy to work with, it lifts the hair quickly and the tones are nice, and the hair seems in good condition for high lighting. My co-worker on the other hand, did not have such a great experience with the Infras. She used one of the the High Lift Browns and she and her client both noticed it had a terrible smell to it (Strange)! Then, the stylist went to rinse her bowls while the client was processing and when the color in the bowl mixed with the water, it started turning a BRIGHT cobalt blue. 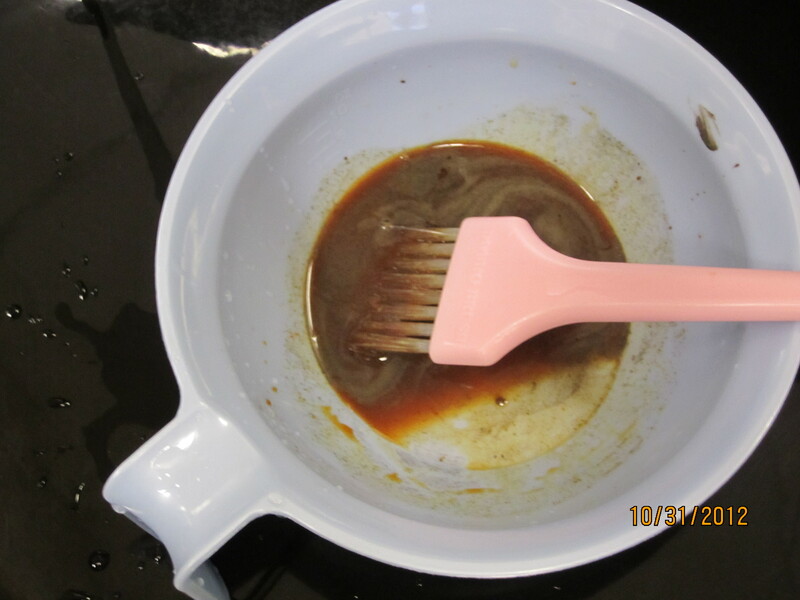 The more she tried to rinse it, the more it stained…the bowl, the cleaning brush, the sink, and her hands. Needless to say, she literally sprinted down the hall to rinse and shampoo the color off of her clients hair. Luckily, the client had medium brown hair and it did not stain or take the cobalt blue color. I took some pictures and will include those in this posting. 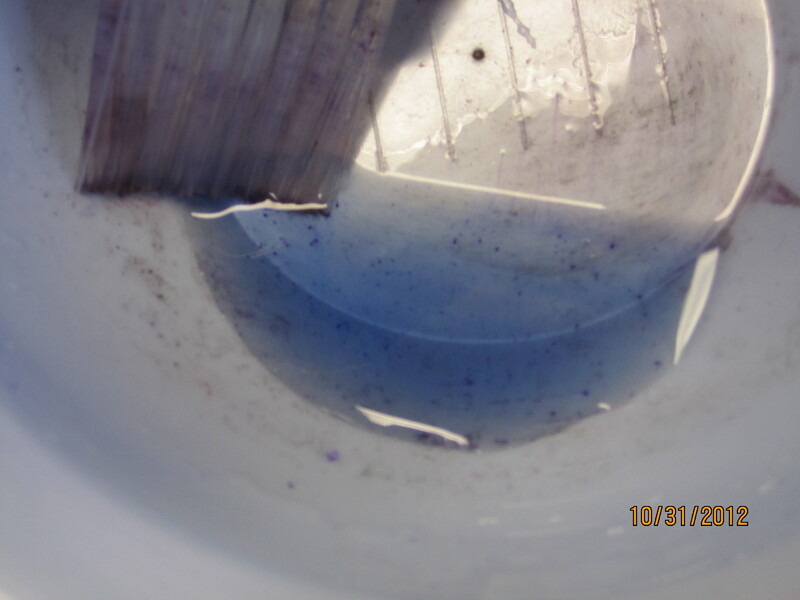 We are not sure if that was just a bad tube of color or if there seems to be some kind of chemical reaction when it is mixed with our Florida water, which depending on the time of year and the water tables, can be a bit aggressive. Regardless, neither one of us was willing to try that one again. I have however continued to use the Infra blondes after that without problems. So there you have it. Overall, I think this is a decent non-ammonia haircolor line as far as the level of toxicity, but there seem to be a few glitches we experienced to be aware of. Everyone is different as far as sensitivites so what might bother one person may be fine for another. Please, if you are looking to try a non-ammonia color line, or are looking for quality salon-professional products and/or tools, by all means try Chi. They deserve our business. It’s clear that they are trying to do the right things, and are putting people, health, and America as country first above profits. They are moving jobs back to the United States from overseas at a time when a majority of U.S. companies are leaving. They are spending considerable amounts of money on research & development of innovative products for our industry at a point in Farouk’s career where he could just as easily walk away and spend his billions pampering himself. But he’s not. And that’s commendable. And he deserves to be recognized for that. I rate this color line a 3 on my scale of 1-5. I welcome comments, as well as suggestions for color lines or products that my readers would like to see reviewed. Feel free to email me with questions as well, and I will always do my best to respond. Until next time, here’s to great, healthy hair….and great, healthy hair stylists. Thanks for visiting my Hair Color Review Website! For those of you who are new, I’m Melanie Nickels, a ranking member / educator / evaluator of The American Board of Certified Hair Colorists. I am the only organic / non-toxic educator in the ABCH organization. I am the founder / creator of Raw Hair Organics, a line of organic / natural professional quality hair products that WORK just like traditional chemical-based ones. You can read more about it at www.rawhairorganics.com . I am the founder of the first organic / non-toxic salon in South Florida, the Raw Hair Organic Salon in Naples, Florida. I was internationally trained, as well as part of Inter-Coiffure, a Broadway stylist on the hit show “42nd Street”, and have many certifications and training much to numerous to list here. I spend no less than 60 hours a week, every week, behind the chair, hands-on in my salon, the Raw Hair Organic Salon in Naples, Florida. I have two college degrees: One in Business, and One in Accounting. My hair color reviews are read in and reach no less than 50 Countries World-Wide every single day of the year by industry professionals of all ranks, as well as salon clients, etc. If you would like to know more about me, you can find a more detailed bio on the homepage of this site (which I will be updating). I DO NOT SELL HAIR COLOR. I do NOT work for, nor do I own or represent a hair color company. I am NOT compensated in ANY way by ANY hair color company. When I review a hair color line, I purchase the product WITH MY OWN MONEY. I do not receive free product from manufacturers, as I feel this creates an inherent bias right from the start. Let me begin by saying I am not a chemist, so I am giving you the facts as a professional, working haircolorist with a lot of experience in haircolor and ingredient knowledge from working with chemists on a regular basis for the last several years. I, like most people in the industry, had been taught over the years that MEA is bad….that it doesn’t rinse from the hair and it dries it out over time. Boy, was shocked to find out the hair color I’ve been using contains MEA because my experience was quite the contrary! I have used MEA and Ammonia BOTH, for MANY years. I find that there is a lot of misinformation out there being shared by people who either a) have an agenda either for or against MEA or Ammonia, and b) people who don’t have a vast background using BOTH for an extended period of time (or don’t work behind the chair AT ALL) thus, in my professional opinion, their opinions are worthless to you and me as working professionals. Frankly, this is why I started http://www.organichaircolorreview.com in the first place. Hair has a natural ph of 4.5-5.5. So in order to color the hair, there needs to be an alkaline agent to raise or adjust the ph so the color can penetrate the cuticle and get to the cortex. Ammonia has been the ingredient of choice in hair color for many years because it is good at doing that….typically raising the ph to 10-10.5. However, the problem is that ammonia is aggressive on the hair, it is a strong irritating gas that gives off fumes, and when it disolves in water it forms ammonium hydroxide which is highly corrosive. There are several reports on the possible health risks on this topic from sources like the Dept. of Health and the U.S. National Library of Medicine, the National Institutes of Health, and Canadian Centre for Occupational Health & Safety. Another problem that arises from using ammonia as the ph adjuster in hair color is that because it is more aggressive on the hair which causes loss of protein and moisture, it damages the cuticle. This leads to the problem of higher porosity, which means the cuticle is not closing down properly and you have increased difficulties with color fadage. So what is MEA? The official terminology is Monoethanolamine. It is in the family of Ethanolamines. It is an organic chemical compound that is a primary amine and primary alcohol. It can be toxic, flammable, and corrosive at high amounts. However, the International Agency for Research on Cancer have decided that ethanolamines do NOT pose a cancer risk to humans. According to the European Chemical Industry Council, it is a clear viscous, liquid derived from reacted ethylene oxide and …aqueous ammonia. There is also a Cocomide MEA which is fatty acids in coconut oil reacted with MEA. Confused? So basically, it is used as a replacement ph adjuster in haircolor that is considered ammonia-free and used at lower percentages and coupled with emollient oils, making it less volatile and less corrosive than ammonia. That being said, just like any other ingredient, there can be different amounts of MEA used and/or it can be used in conjunction with other ingredients like alcohol in order to perform. The same rule applies to any ingredient that is replacing ammonia or that is used to raise the ph. The more that is used, the higher the ph, the more damage. Other ingredients being used in a similar way are AMEA (Aminomethylpropanol & Monoethanolamine), and AMP (Amino Methyl Propanol). It’s interesting that the people (meaning manufacturers) who have been or are supportive / defensive about ammonia as used in hair coloring have been lowering the amount of ammonia in their hair color lines, or are now creating products that are ammonia free, but have been trying to find or use an alternative ingredient to MEA since they have been bashing it for all these years and know now they will look like hypocrites if they do use MEA. I also find it interesting the amount of people (stylists & colorists) that have been putting products like Sweet & Low in their haircolor in order to reduce the amount of irritation on their clients scalps and thinking this is OK. (REALLY??) I have had MANY well respected haircolorists tell me the ammonia doesn’t bother them. I always respond, “well, how about your clients?” We all have had them asking for a comb or something to scratch their heads while color was processing! What does THAT tell you??!! Now that I’ve laid the groundwork, let’s get to the big theory that has been floating around the hair industry forever about MEA. It is claimed that MEA does not rinse from the hair, and that it dries the hair out. This is yet to be proven to me, in theory or in the salon, as I have had many debates with very well respected colleagues within the ABCH (The American Board of Certified Hair Colorists) as well as others, on this topic. Speaking from MY experience behind the chair using a hair color with MEA in it for over 7 years, every day, I have seen nothing but the opposite in my clients hair! I have not had any problems rinsing and shampooing the color, and therefore the MEA, from the hair. All of my salon hair color clients can visibly see the difference in their hair of how much healthier and shinier their hair is after they stopped using ammonia hair color on it. ALL of them. Literally hundreds of clients. So there you have it. In a nutshell, there needs to be some kind of alkaline agent in hair color to raise the ph in order to be able to color hair. Different sources can be used to achieve this function. As I like to say, are any of them perfect? No. But some seem better for me to work with than others. You take your pick. But now, you can finally make an educated choice. Please feel free to leave a comment. I will respond. Until next time, here’s to great, healthy hair and great, healthy hairstylists. Hello, and thanks for visiting my hair color review blog, www.organichaircolorreview.com where I review organic hair color, natural hair color, non-toxic hair color, ammonia-free hair color, and on occasion, traditional hair color products when I feel it’s appropriate. I purchase all products tested & reviewed with my own money to avoid any perception of bias whatsoever. I DO NOT SELL HAIR COLOR. I was internationally trained, part of Inter-Coiffure, a Broadway stylist on the hit show “42nd Street”, and I have certifications in dozens of product lines too numerous to name here. I have worked with about every major professional hair color line on the market. I take part in a large amount of continuing education every single year. In my free time, I donate one day a month to The American Cancer Society, where for about the last 6 years I help facilitate the Look Good Feel Better program for cancer patients in the Naples / Ft. Myers area. I am the owner / editor of two blogs, http://www.organichairproductreview.com & http://www.organichaircolorreview.com which I write on a monthly basis. That’s not my full bio, but it should give you at least an idea of why I’m qualified to be editor this blog. For a more complete bio, visit http://www.rawhairorganics.com . A while back, I wrote a review of a new hair color line from L’Oreal called Inoa, that was launched in 2010. If you have not read my review of it, please take a few minutes and scroll down a few reviews back and read it. It will get you up to speed for this review. Otherwise, you might not fully understand what I’m talking about here. That being said, in mid-2012, L’Oreal did a Re-launch of it’s Inoa hair color line…you can draw your own conclusions…! Inoa is a hair color line that replaces ammonia with a “minimal amount” of MEA & Oil…hence the term ODS(Oil Delivery System). It combines the oil, which is listed as mineral oil in the ingredients with the MEA (the alkalizing agent) to boost it’s performance (again, if you have read my last Inoa review, you are up-to-speed at this point). The ODS coats and softens the outside of the hair strands and uses MEA to raise the ph and swell the cuticle. This pushes the color inward, toward the hair cortex, to help it penetrate more deeply than it would on it’s own. The ingredients in Inoa preserve lipids (the natural conditioner of the hair) much better than ammonia can. In other words, it is less corrosive than ammonia therefore preserving the integrity of the hair. This means less porosity and more shine and better color retention. 1) The Formulation: The original ODS was a 3-part system that required the use of separate tiny tubes of color, which L’Oreal and some stylists found expensive, cumbersome, and complicated, especially in countries (or in some cases United States) where a person can become a licensed stylist / colorist with as little as 6 months of formal training (gasp!) and be considered “qualified”. The colorist was required to mix the pigments with the oleo gel and then the developer. The new ODS 2 comes in ONE tube, which makes it much easier for new and experienced colorists alike to use it. It was also decided by L’Oreal that the “Inoa” mixing system was too complicated to convert over into other L’Oreal brands such as Redken and Matrix, which are mostly American brands and not-so-much international brands. In short, L’Oreal wanted to simplify the process to suit more of it’s international markets, as well as making it easier to transfer across to other L’Oreal brands. The NEW Inoa system is now a two-step system of color & developer. The tubes are 60ml (or 2.1 oz in the U.S.), and the mixing ratio with the developer is 1:1 and it processes at room temperature 35 min. As a side note, they came out with the same “revolutionary, new and improved” product in the Redken line known as Chromatics (see my review of this product on this blog site as well). Also, Matrix is expected to launch in fall of 2013. (All of these lines are currently owned by L’oreal). 2) The Client Benefits: Their pre-blended formulation insures uniformity of color. In their original INOA system, there was always the chance that the pigments may not mix properly with all of the other ingredients which could lead to the possibility of the client experiencing irritation and / or variations in color. Wth the new ODS 2, there is less of a chance of this happening. With ODS 2, if a client were to experience irritation or an itchy scalp, it’s due to an allergy to once of the specific pigments, which is an issue that could happen with any hair color system. In summary, ODS 2, as part of the INOA color system, is an oil-based system that maximizes the effectiveness of the permanent hair color process, while providing more lipid protection compared to other traditional brands. The ODS 2 covers (sic) 100% of white hair (according to them). It offers 59 shades. It minimizes skin / scalp irritation, and doesn’t have the overbearingly harsh smell or side effects of ammonia (which, of course, is used in most hair color lines). The Inoa color is mixed equal parts with developer which gives a thicker consistency like a cream or like frosting. This makes application easy to work with. It is processed at room temperature for 35 min. You add a little water and emulsify before completely rinsing. They still recommend shampooing with the Inoa Post Shampoo (which I discussed in the original Inoa review). 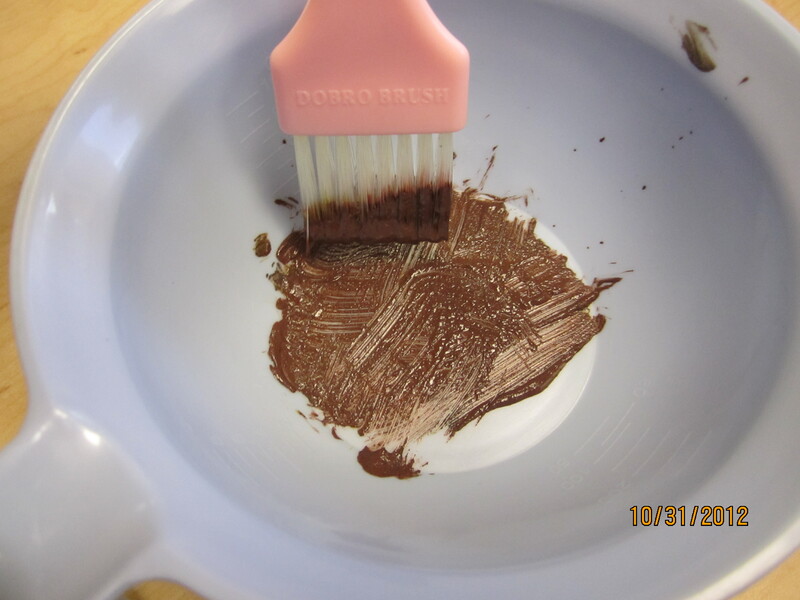 When I personally tried The relaunched Inoa by L’Oreal at the Raw Hair Organic Salon in Naples, Florida ( www.rawhairorganics.com ), I found that when I went to emulsify the color before rinsing, it became a strange lard-like color and consistency. Because of all the oil, the water pretty much beaded up and ran off. It took a lot of rinsing to remove, but once I shampooed, it was fine and did not stain the skin too bad. It covered the gray well, the hair was shiny and color retention seemed good upon return of my client. They did, however, experience itching on the scalp afterwards in between colors. It looks like they replaced ppd’s (paraphenylendiamine) with it’s cousin: toluene 2,5 diamine and resorcinol for pigment, which could be causing irritation. Overall, I am happy that L’oreal has been confirming that ammonia free haircoloring is a better way to go and the way of the future. I’m glad they have revised their formula and continue to work on ways to improve the haircolor industry. This is great progress for clients and stylists alike. I give the New Inoa a rating of 3.75 out of 5. I always encourage comments and feedback. If there is a hair color line that you would like me to review, please send me a note or post it in the comments section. I have TWO that I’m working on right now that I hope to post in the next 30 days. Please keep in mind that it takes me at least 30 days to do a review, as they are quite time consuming and take quite a bit of exhaustive research. Until next time, here’s to great, healthy hair and great, healthy hair stylists.